Not long after making the previous post, the new data plans were officially announced. They will launch on Sunday June 1st, 2014. Orders for service will be taken from May 15. The new plans can be applied to both smartphones and feature phones. The data plans can be shared between up to 10 devices within a single family, and individuals can split their data plan between two devices. If you are a single person who uses up 7GB of LTE data every month and does not make many phone calls, you won't see any benefit from these changes. 7GB would cost you ¥7,000, more than it does now. However, if 5GB is enough, you will see savings. If you make any out-of-network calls at all, you will also see savings. This excludes numbers that start with 0180 or 0570, etc. that incur separate charges. All the new data plans can be shared (分け合える). The single person plans may be shared between two devices, so you have a phone with a voice and data plan of 5 GB, and the 5 GB quota can be used on both your phone and a tablet. 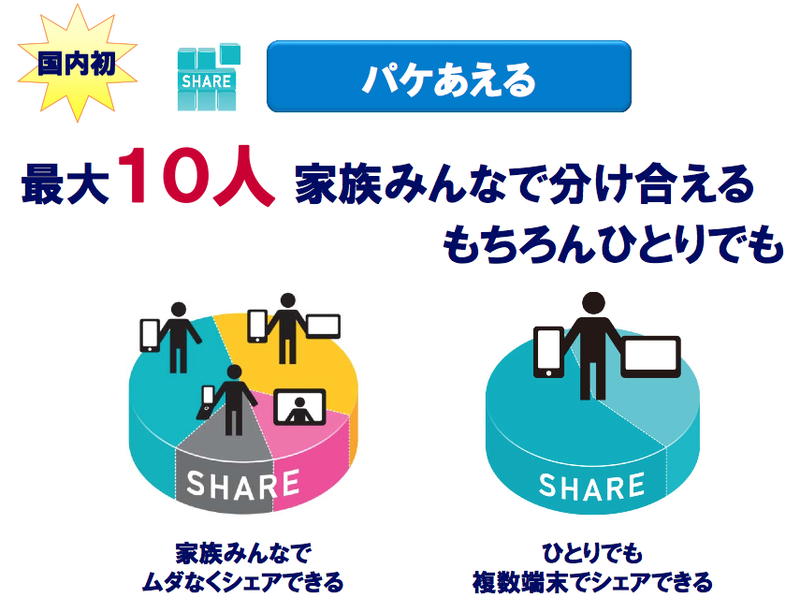 There is a ¥500 share fee for each shared device/person added, and each device is also subject to a separate ISP fee, so that's ¥800+tax for each additional device added. Additional data can be added at ¥1,000/1GB. In addition, there are discount plans offered to long term customers. To qualify on the Data S Pack (2GB plan), you will need to have been a docomo user for 16 years. Your' reward: ¥600 monthly discount. With the 5GB plan, you get that after only 11 years (or ¥800 after 16). The share packs become eligible for discounts starting at ¥300 after 6 years. Coming this summer according to the PDF attached with this announcement. Still usuriously expensive. Let's see how the other carriers decide to match/beat them. 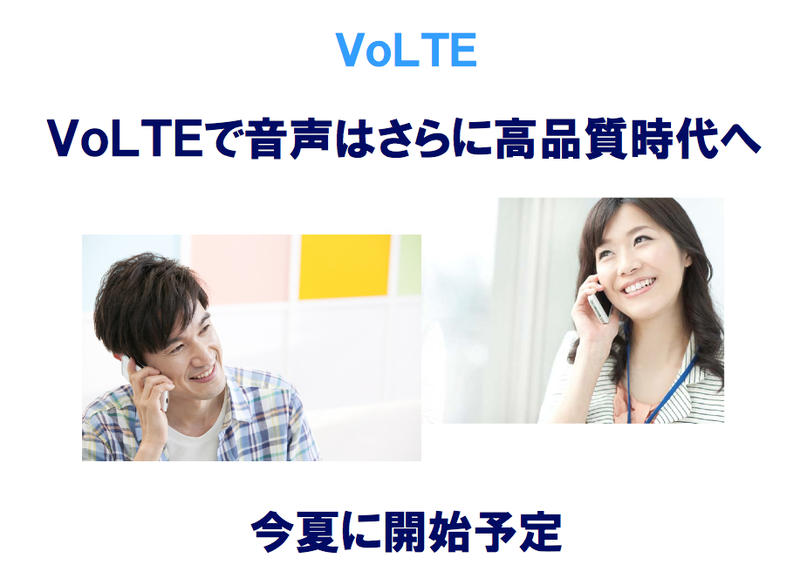 New smartphone models with the VoLTE rollout? How's the backwards compatibility on that?